AirNet™ CAN-to-USB Adapter - Micro-Air, Inc. 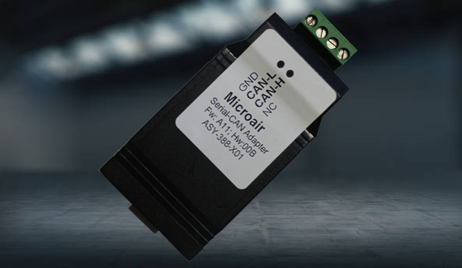 The AirNet™ CAN-to-USB Adapter adapter allows connection of Micro-Air's AirNet CAN Bus network to a computer via USB. This adapter is very useful to help troubleshoot FX-2 and Hydromatic II CAN Bus networks when used with Micro-Air's CAN Bus debug programs, AirNet 5 or AirCAN 5. Please call 609-259-2636 or e-mail Micro-Air Technical Support for more information on AirNet 5, AirCAN 5, and CAN Bus.